Home / Guidance / Guidance – Design 101: He Did the Monstrous Mash! 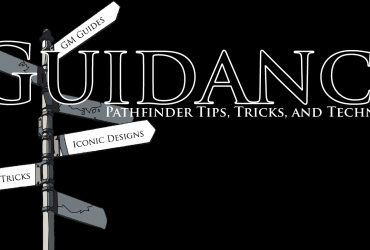 Guidance – Design 101: He Did the Monstrous Mash! Welcome to Guidance, Private Sanctuary’s source for tips and techniques for the Pathfinder Roleplaying Game, written by Everyman Gamer Alexander Augunas. Today, we’re going to be talking about the differences between humanoids and monstrous humanoids. Proficient with simple weapons and all weapons mentioned in its entry. Proficient with any armor it is described as wearing. Monstrous Humanoids eat, sleep, and breath. Unless they are 0 HD creatures, monstrous humanoids advance with d8s, have a full base attack bonus, good Reflex and Will saves, and skill points equal to 2 + the creature’s Intelligence. Now, let’s look at humanoid statistics. Proficient with all simple weapons. Proficient with whatever type of armor it is wearing. Humanoids eat, sleep, and breathe. Unless they are 0 HD creatures, humanoids advance with d8s, have a medium base attack bonus, Good Reflex saves, and skill points equal to 2 + the creature’s Intelligence. Looking through, we have very subtle differences between humanoids and monstrous humanoids. Generally speaking, monstrous humanoids have the better base statistics by a lot, so we can begin by classifying monstrous humanoids as creatures that have powers and abilities that are slightly beyond that of an ordinary humanoid’s abilities. A humanoid usually has two arms, two legs, and one head, or a human-like torso, arms, and a head. Humanoids have few or no supernatural or extraordinary abilities, but most can speak and usually have well-developed societies. Monstrous humanoids are similar to humanoids, but with monstrous or animalistic features. They often have magical abilities as well. As you can see, both in description and in base traits monstrous humanoids and humanoids are remarkably similar. Mechanically, the only real difference is that monstrous humanoids get a full base attack bonus while humanoids don’t. That, and effects that target humanoids don’t work on monstrous humanoids. When moving from 3.5 to Pathfinder, the design team crunched several creature types together for ease of use. Elemental became a subtype of outsider while giant became a subtype of humanoid. This brings up the 1,000 gp question: why wasn’t monstrous humanoid consolidating too? Giants have a number of racial Hit Dice and never substitute such Hit Dice for class levels like some humanoids. Giants have low-light vision and treat Intimidate and Perception as class skills. With all this in mind, there seems no real reason to keep monstrous humanoids separate from other types of humanoids. You could very easily make a monstrous subtype and note that monstrous humanoids have a base attack bonus equal to their Hit Dice. Done. It almost seems too easy. The folding of giant into humanoid was no accident. Let’s take a quick look at the giant traits. Giants advance with d8s, have a medium base attack bonus, Good Fortitude saves, and skill points equal to 2 + the creature’s Intelligence. So aside from their low-light vision (which many humanoids have) and Good saving throw (Fortitude instead of Reflex), giants have the exact same statistics as humanoids. Is darkvision and a full base attack bonus enough to warrant this distinction? Maybe not, but there is another major factor that might: societal organization. You see, all humanoids, including giants, function at a societal level. Some of these societies are very basic (such as the boggard, which is described as being primeval) while others are impossibly complex (such as the elves or drow). Regardless of the case, humanoids live in groups. Ogres, for example, live in tribes called families. Cloud giants typically live apart from one another, but they have a clear culture and social hierarchy amidst themselves. Monstrous humanoids are typically lone creatures without organized societies. Creatures like the medusa, that lives alone, or the minotaur, that lives alone. They may look humanoid, but the fact that they don’t act humanoid makes them distinct (or monstrous) enough to warrant their own classification. This is also why despite looking “bestial,” creatures like catfolk, ratfolk, and kitsune are classified as humanoids and not monstrous humanoids. Monstrous humanoids lack a real society while these races most certainly do not. As such, the distinction between humanoids and monstrous humanoids isn’t mechanical, but is instead flavorful. So what do you think? Is society enough of a reason to keep the distinction between humanoid and monstrous humanoid, or should monstrous have been a subtype of the human creature type? Leave your comments below and I look forward to sharing a new article with you next week! Take care! Alexander “Alex” Augunas has been playing roleplaying games since 2007, which isn’t nearly as long as 90% of his colleagues. Alexander is an active freelancer for the Pathfinder Roleplaying Game and is best known as the author of the Pact Magic Unbound series by Radiance House. Alex is the owner of Everyman Gaming, LLC and is often stylized as the Everyman Gamer in honor of Guidance’s original home. Alex’s favorite color is blue, his favorite Pathfinder Race/Class combination is kitsune dread, and this article was conceived when I had to explain this difference to one of my players when he wanted to know why his monstrous humanoid bane greatsword didn’t work on the ogres he was fighting. It doesn’t quite work out well as there are plenty of examples of creatures with the monstrous humanoid subtype that have societies. Burrowlings, centaurs, mongrelmen, and serpentfolk all have listed groupings up to a minimum of a tribe for example. Some of their descriptions outright call the collective of tribes a society. Burrowlings even have their settlements called towns. 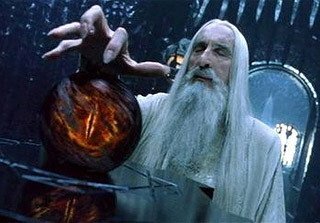 In the particular case of the witchwyrd, the creature has an advanced enough society to be willing to trade for currency and goods as well as understanding the importance of needing an entourage of guards for protection.